If you’re like a lot of first-time tandem skydivers, you landed with one thought in your mind: how can I do that again on my own? 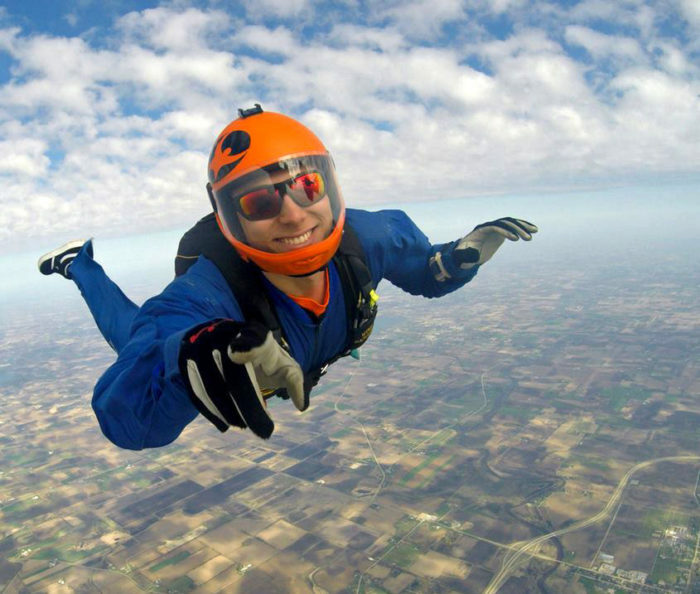 How to skydive solo? Learning to skydive by yourself might have seemed pretty far-fetched before you got that initial introduction to freefall. Now, with your first tandem skydive in the rear-view mirror, it might seem a whole lot more possible. You might have been basking in the afterglow, looking up at the sky, watching the solo skydivers coming down one after another, all looking limber and agile with their tiny little parachutes… and, just maybe, you were a little jealous. You wanted to be just like them, spinning merrily around the sky on your very own terms. Learning to skydive on your own is akin to learning to drive a manual car. It’s a little tricky at the beginning, but as soon as you get the hang of it, you’ll forget about those early moments of confusion. With time and with practice, your body will maneuver in the airflow with minimal conscious input. At the beginning, you’ll be getting to know the dynamics of freefall. 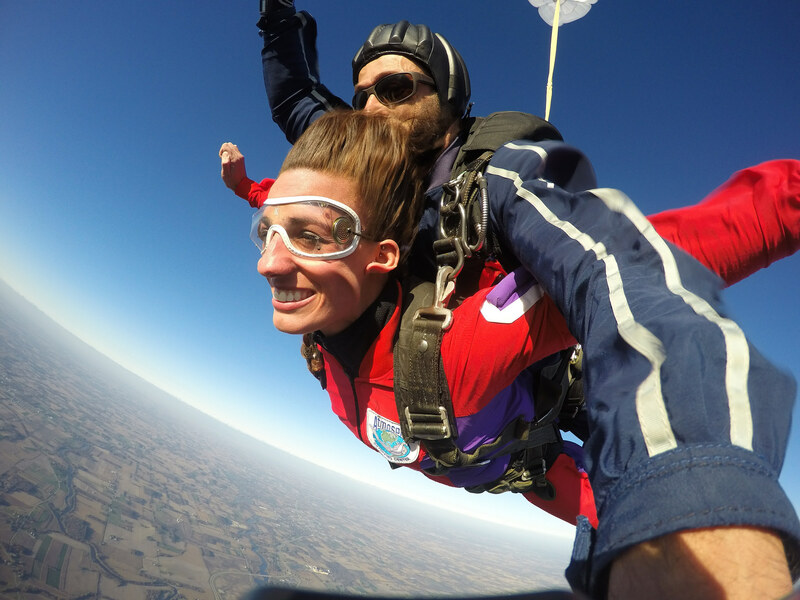 For your initial solo skydives, you’ll be wearing your own gear, but you’ll be accompanied by trained, professional skydiving instructors – even in the sky. After those training wheels are off, you’ll be jumping with experienced coaches. Before you know it, you’ll be able to skydive upside-down, with your friends, while spinning around like you’re all on an enormous dance floor. It happens faster than you think, and the more you do it, the better you’ll get at it. Thousands upon thousands of other skydivers have already trodden this path. Trust the process. If you think that the sport of skydiving is populated entirely by adrenaline-junkie single people (okay: single dudes) straight out of college, you’ll be pleasantly surprised. As it turns out, skydivers come to the sport from all backgrounds and all walks of life. It’s not at all unusual to be learning to skydive solo alongside middle-aged moms, engineers, scientists, pastors, long-haul truck drivers, kindergarten teachers… anyone and everyone. All are welcome. The chances that someone just like you has undertaken the challenge of solo skydiving are overwhelming. After all, the demographics for our sport are all over the place. (We even have a special club for skydivers over the age of 90!) Despite our exciting variety, one common feature remains the same for all of us across age, color, race and creed: we’re all adventurists, and we’re all seekers. If that describes you, you’ll fit right in. 3. Finally, say it with me: I am not alone. At the Wisconsin Skydiving Center, our solo skydiving students are family. We know what a challenge it is to learn to skydive on your own, and it is our greatest passion in life to help you undertake that challenge. Our students’ success is our greatest reward. How do you skydive solo? You don’t. You have friends jump with you! 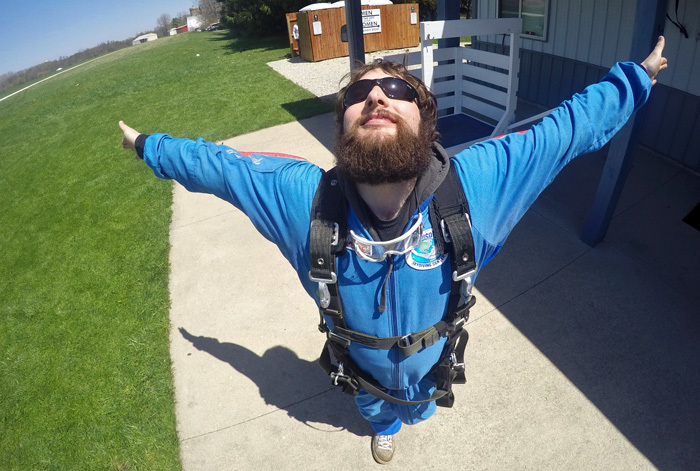 Learning to skydive is an incredible experience, and the Wisconsin Skydiving Center would be honored to partner with you in that quest. 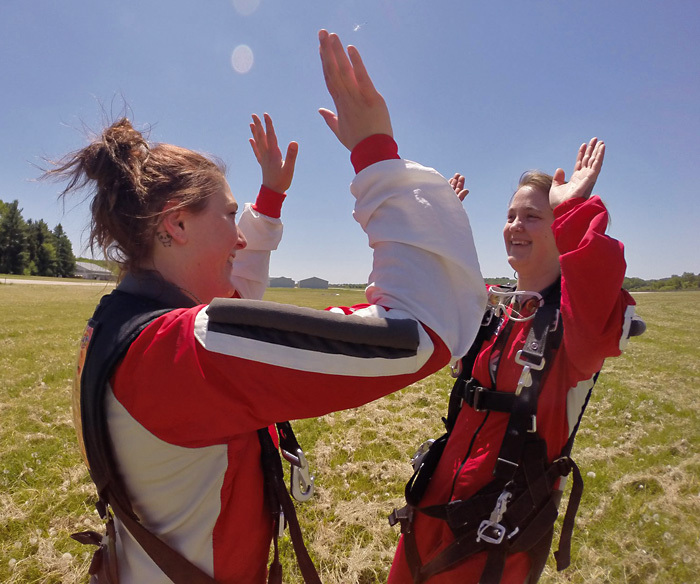 Reach out to us today to find out how to make solo skydiving your next big personal journey. We’ll be here for your every step of the way!